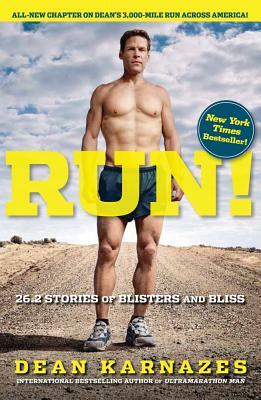 From the downright hilarious to the truly profound, the stories in Run! provide readers with the ultimate escape and offer a rare glimpse into the mindset and motivation of an extreme athlete, one who has, according to The Philadelphia Inquirer, "Not only pushed the envelope but blasted it to bits." Karnazes addresses pain and perseverance, and he also charts the emotional as he pushes to the edges of human achievement. The tales of the friendships he's cultivated on his many adventures around the world warm the heart, and are sure to captivate and inspire readers whether they run great distances, modest distances, or not at all. The hardcover edition was met with the enthusiastic support of Karnazes's devoted fan base, and word-of-mouth excitement as well as media coverage from LIVE! with Regis and Kelly brought the book to the attention of scores of new readers. Karnazes's colorful tales of his extreme running adventures are as entertaining as they are innately human, giving the book potential as a perennial paperback favorite.